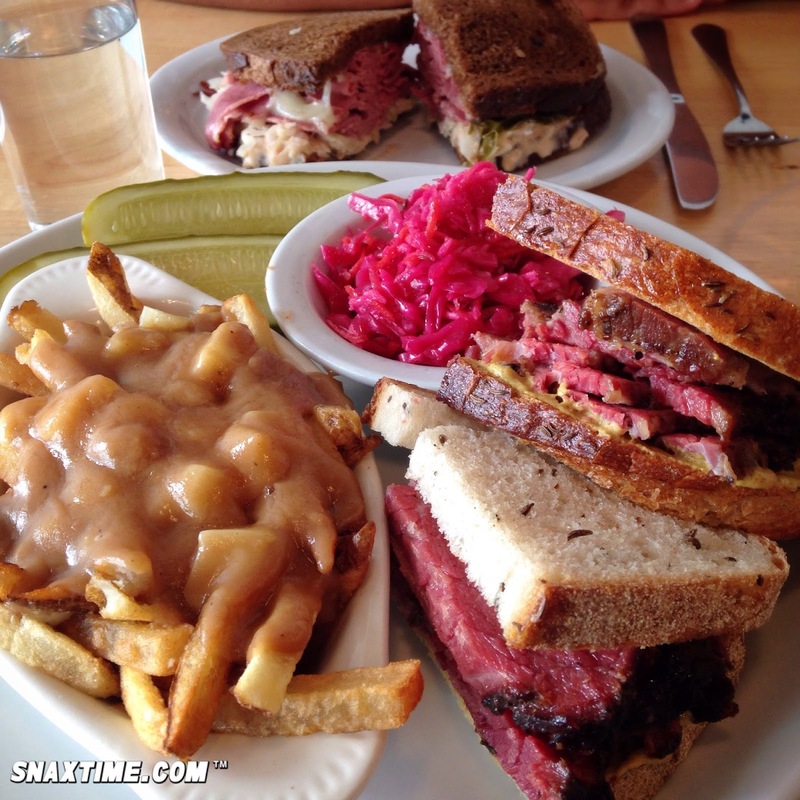 You don't have to travel to Canada to enjoy a nice smoked meat sandwich with a side of poutine. Mile End Deli in New York City and Brooklyn is bringing these north-of-the-border classics to the Big Apple, and boy-o-boy what a treat it is! We visited the Manhattan location and we were in shock by how mouthwateringly good the Smoked Meat Sandwich was! The cured meat was moist and fatty with a delicate smoky flavor that tasted great with the tangy mustard and fresh rye bread. We also had The Rueben with corned beef. This was hands down one of the best Rueben sandwiches we've ever tried with the perfect balance of flavors of sauerkraut, Russian dressing, Swiss cheese and pumpernickel bread. If you go, make sure to deluxe any order and add some poutine. These double-fried fries are coated in gooey cheese curds and rich, roasted chicken gravy. SO DELECTABLE. You have to try it yourself to believe it. And if you're really feeling naughty, super deluxe your meal and add smoked meat to your Poutine. You only live once!